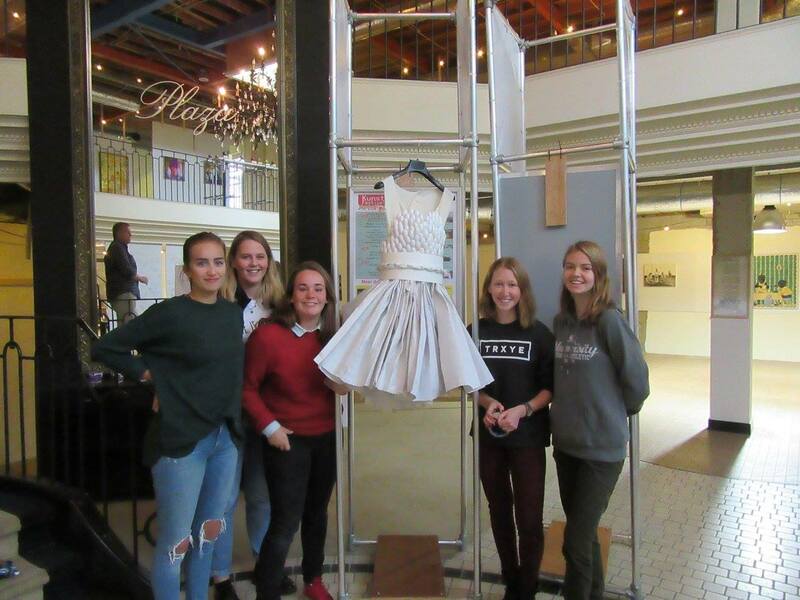 At the end of Dutch secondairy school, every student has to make a PWS, it's a project based on the courses you followed. 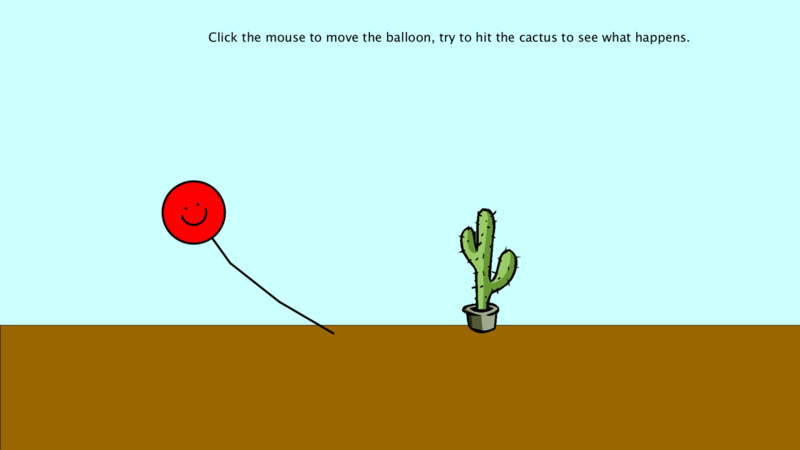 I made this project with the course art class. The base idea was to make furniture with recycled materials, so I did a lot of study for it, looking for other artists that already made pieces of furniture with recycled materials. I found a lot of different uses and am very inspired to recycle more. However I decided to focus on cardboard. That was the moment I realized that cardboard is an great material for many things. Despite the fact that it can't stand fluids, it is very usefull and powerful. With this knowledge I started experimenting, and I quickly figured that cardboard can hold big weights. The chair on this picture held someone of 100 kilos. I also made a closet for dvds, I had a dvd collection and wanted to put them somewhere nice, so I decided to make my own closet. We had a cultural day with the entire school, this means that we had a day with no class, just cultural makings. At the same time there was a food festival going on in our town. For art class in secondairy school we had to make an object with the art of assemblage. My object was an old drawer of a desk. 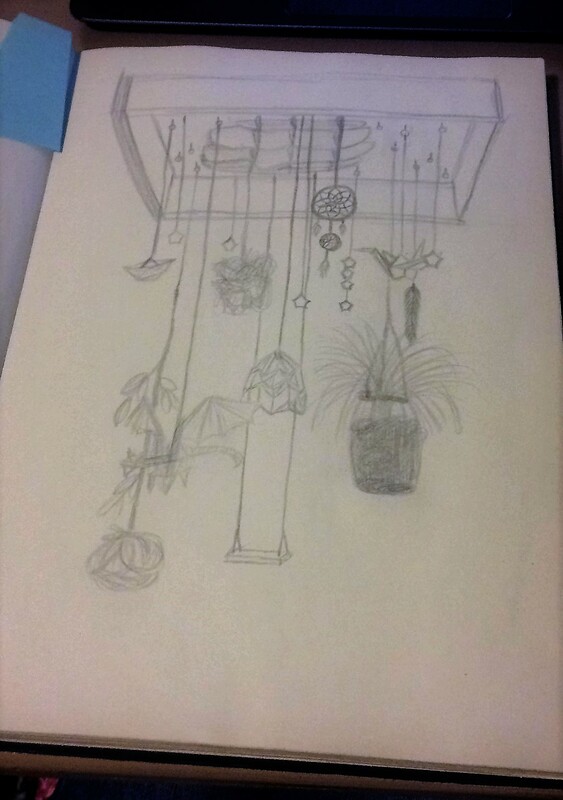 I started with sketching, and fastly I decided that I wanted to have the drawer hanging upside down. 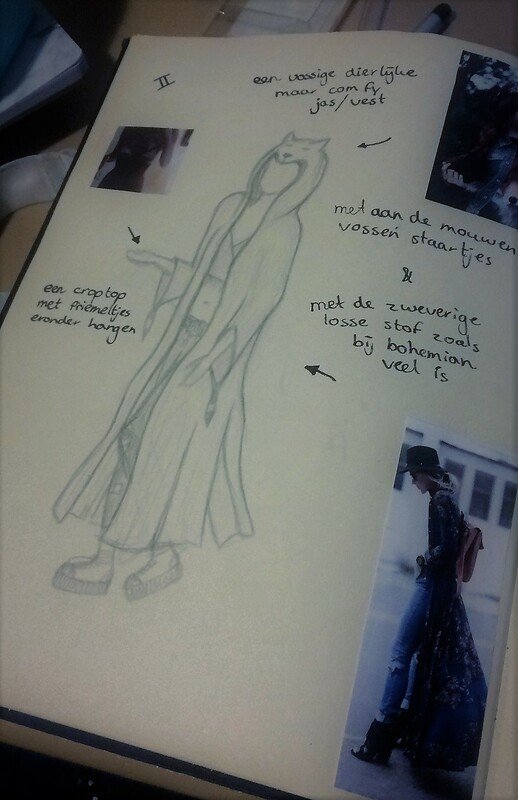 Another one of those projects was Fashion Design. We had to chose two fashion styles and combine them into four designs. I chose Bohemian and Grunge Punk. We needed to start with a moodboard, collecting pictures for inspiration. The assignment was to make a painting with the features of an art movement or a particular artist, I chose Vincent van Gogh. 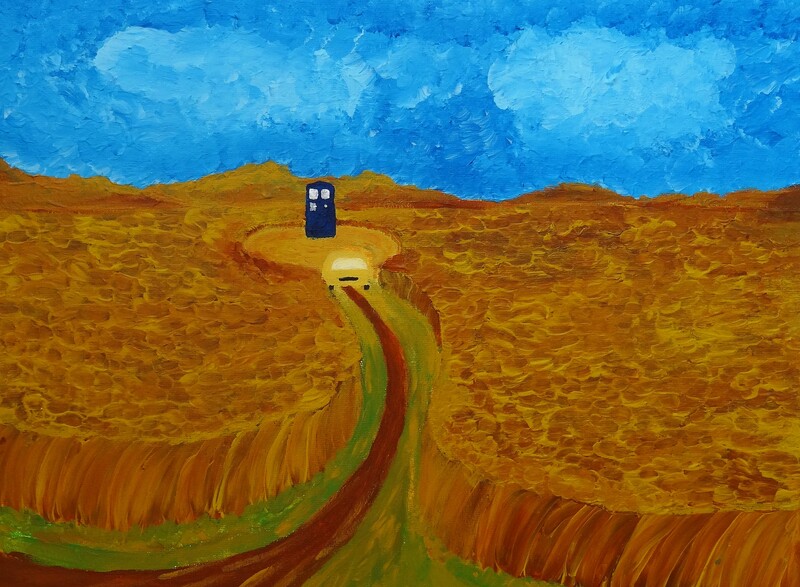 This painting is a mashup of one of the last paintings of Van Gogh and a scene from Doctor Who. In my eyes they work quite well together. 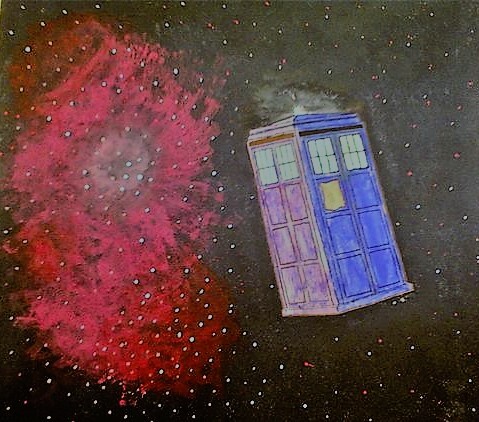 This is a painting of the Doctor Who TARDIS. I might this painting in second grade of secondairy school. It is a ceiling plate, and it was hung in one of the classrooms of my school.